The home of the Green and Blue will temporarily transform into the home of the Delta blues Feb. 20-22 as an annual event celebrating this uniquely American musical form amps up into a full-blown festival. Anthony “Big A” Sherrod started playing guitar at age 6. 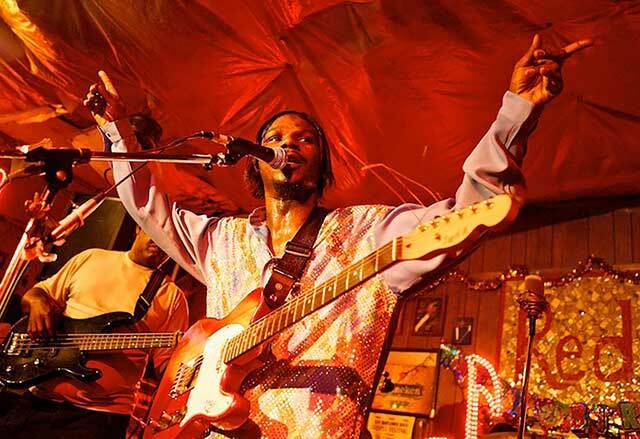 The Mississippi Blues Legends Festival at FGCU offers not just a chance to enjoy an outdoor concert of soul-stirring, hip-swaying music from the Deep South played by established artists from Clarksdale, Miss. Presented by the Honors College, it’s also an opportunity to learn — about the past and present of Delta blues and about the musicians keeping alive the tradition of sizzling slide guitars and passionate singing. An expert lecture Feb. 20 sets the stage the day before the concert, and a musicians’ symposium follows the day after it. Events all are free, and the public is welcome to join the campus community. “The main goal is to bring professional Mississippi Delta musicians to perform their music live for the FGCU community and also have associated academic programming that helps contextualize and teach about the role the blues has played in American history and culture,” says festival organizer and Honors College Director Clay Motley, who researches the blues. According to allmusic.com, the style was the first African-American, guitar-dominated music to be recorded, in the late 1920s. 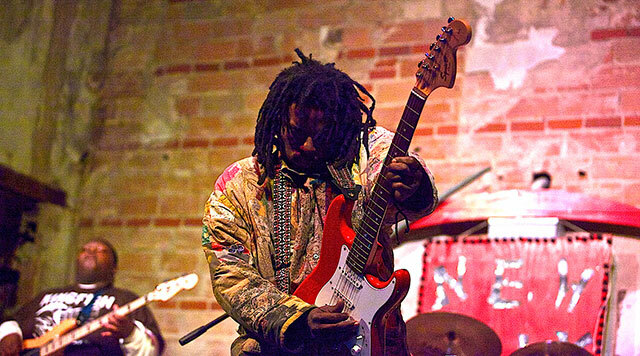 Bluesman Lucious Spiller tears it up on guitar. An associate professor of English, Motley studies American popular music genres and is writing a book on the music history of Clarksdale. 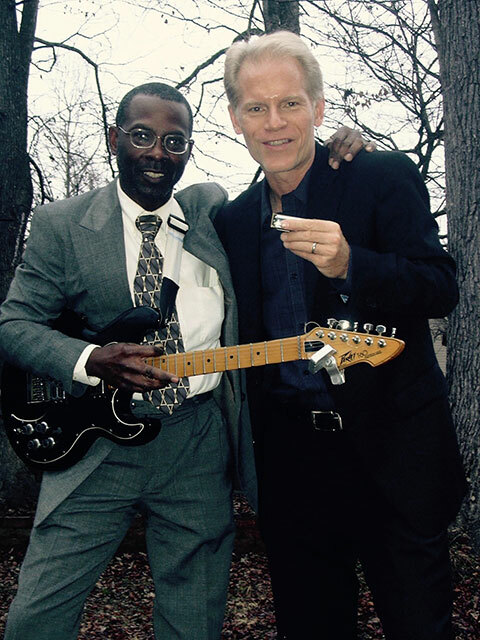 He often travels to Mississippi to conduct research and over time has forged connections with blues musicians there. This is the third year he has organized a campus concert showcasing Clarksdale bluesmen. This year’s bill, kicking off at 5 p.m. Feb. 21 on the Library Lawn, features The New Delta Jukes, Anthony “Big A” Sherrod, Lucious Spiller and Stan Street. Shine Turner, left, and Adam Gussow perform as The New Delta Jukes. New to the event this year: Mission BBQ will provide free food, and Fort Myers Brewing Co. will open its taps for concertgoers 21 and older to purchase craft drafts (IDs required). Chairs will be available on the lawn, and parking is in Garage 3 or Lot 5. Gussow will join musicians from the concert for a symposium concluding the three-day blues bash at noon Feb. 22 in Sugden Hall Room 110. “They will talk about their lives, music and the significance of the blues in an interactive forum,” Motley says.